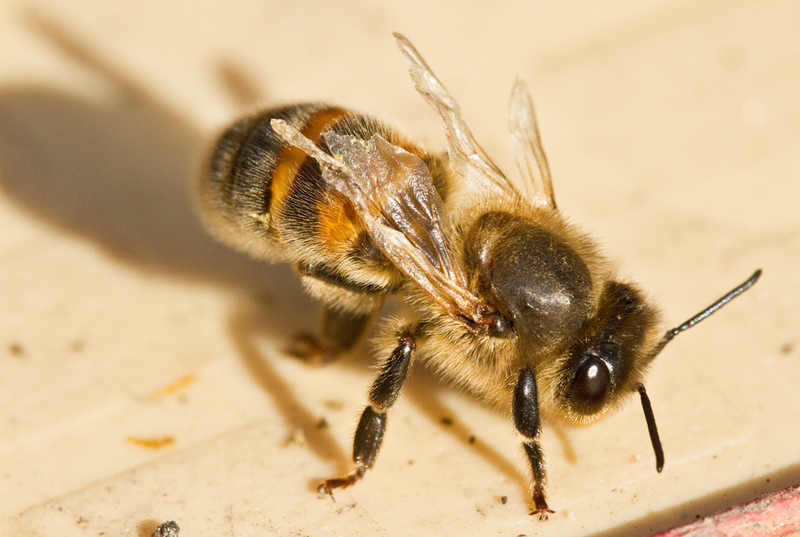 Honeybee health can be dramatically affected by viral diseases that are linked to Varroa mites. Varroa mites are known to favour the outbreak of viral diseases. 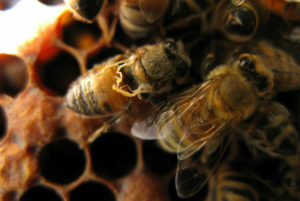 Viruses may be present in hives without any clinical symptoms that only becomes visible after stressors have weakened the colony. Viruses are difficult to distinguish from each other and molecular tools (PCR – polymerase chain reaction) are required to identify them. There are no noticeable or reliable symptoms with the exceptions of Deformed wing virus (DWV) and Sacbrood. 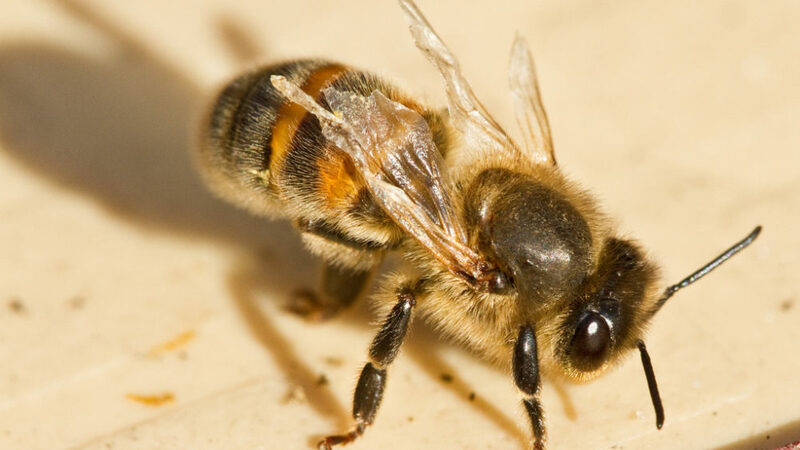 This virus causes bees to grow ragged wings that are incapable of flight. These bees die off naturally or are removed from the colony within 2-3 days after emergence. Sacbrood is a common brood disease caused by the virus Morator eatotulas. Infected larvae die and tissue disintegrates into a brown watery solution held together by the larva’s outer skin. The virus is probably fed to larvae by nurse bees and thereafter contaminates the cleaning bees. 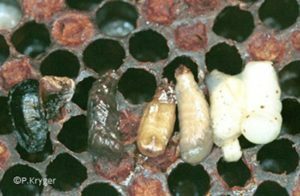 This disease does not cause serious colony losses and may appear at any time during brood rearing season although it is most common during the first half of the season and usually subsides after honey flow starts.